This week was definitely a good week. I saw friends, ate some yummy food, sat out in the sun and then to top it all off, I found a new makeup brand which I've literally fallen in love with. 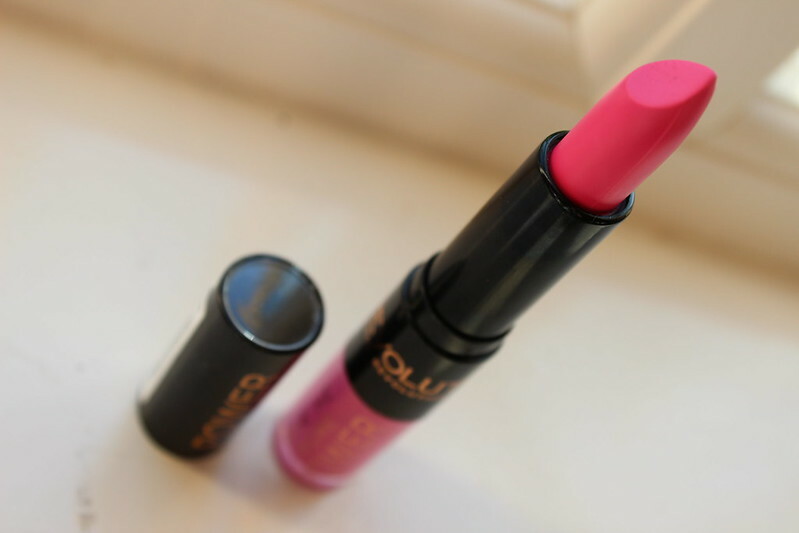 Since I've been blogging I've found it's taken me quite a lot to really love a makeup brand. Don't get me wrong there's loads of brands I like but LOVE... That's a word I save for the elite in my makeup collection. 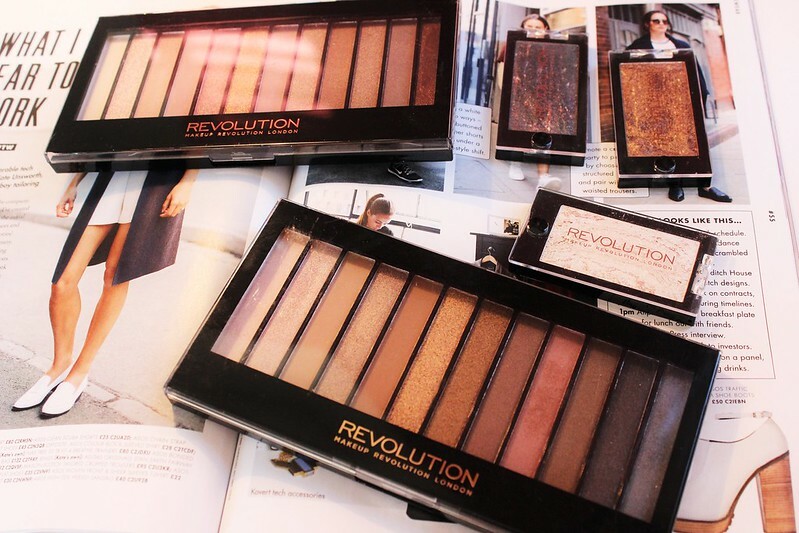 But then I came across Revlon's new Makeup Revolutions range and I can honestly say, I LOVE it! I first heard about the brand from my bestie Jade. Like I've said before she's pretty much my main source for all things beauty so naturally she was the first to hear about the new launch before I was. She showed me their Twitter site and as soon as I saw a few of the products, I decided I had to make an online order. I headed on over to Superdrug and snapped up some eye shadows, a lipstick and some blushers and sat and waited until the package arrived a few days later. 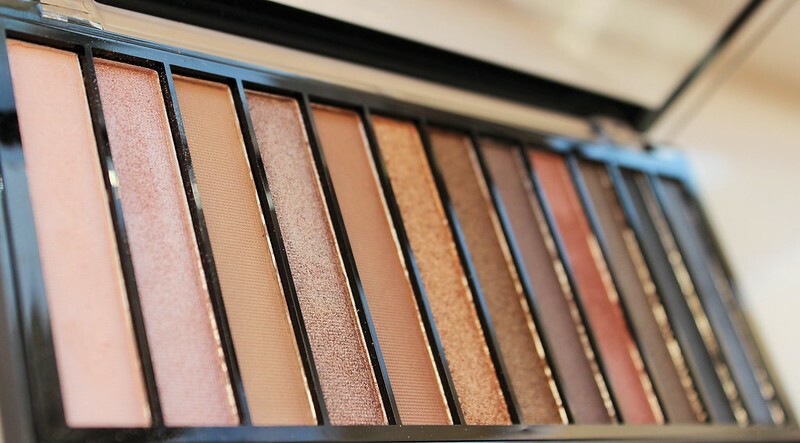 Makeup Revolution have created dupes for the Urban Decay Naked range in the form of the Iconic 1,2 and 3 palettes. As soon as I saw these online I knew I had to try them out and I definitely wasn't disappointed. 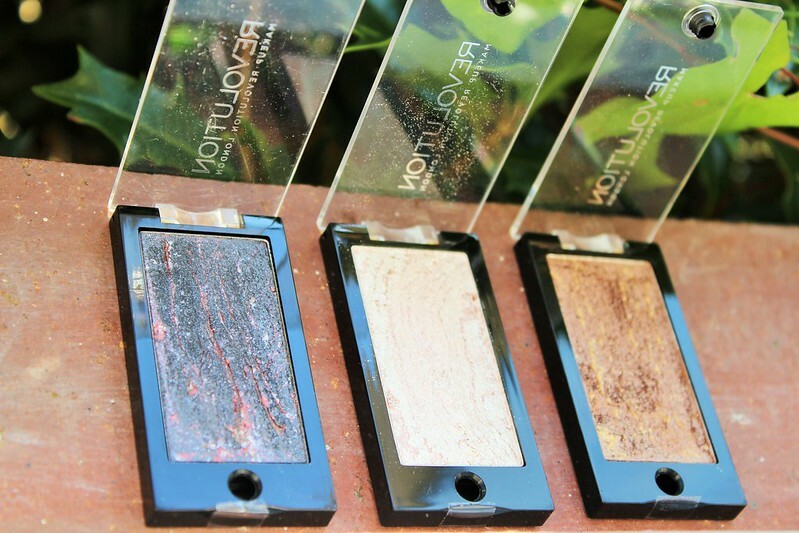 They are highly pigmented and you get a lot for your money at a mere £4 per palette. Huge strips of colour and a gorgeous mixture of matte and shimmer shades; I am so impressed with these! Clearly two eye shadow palettes wasn't enough for me as I went back for 3 more single colours! Their baked range really is stunning; with beautiful mixtures of golds, greens, icy whites and purples you'll find they really catch your eye. I went for a coppery gold (Galactic), a silvery blue (Moon Dust) and a shimmery white and gold (Heavenly). 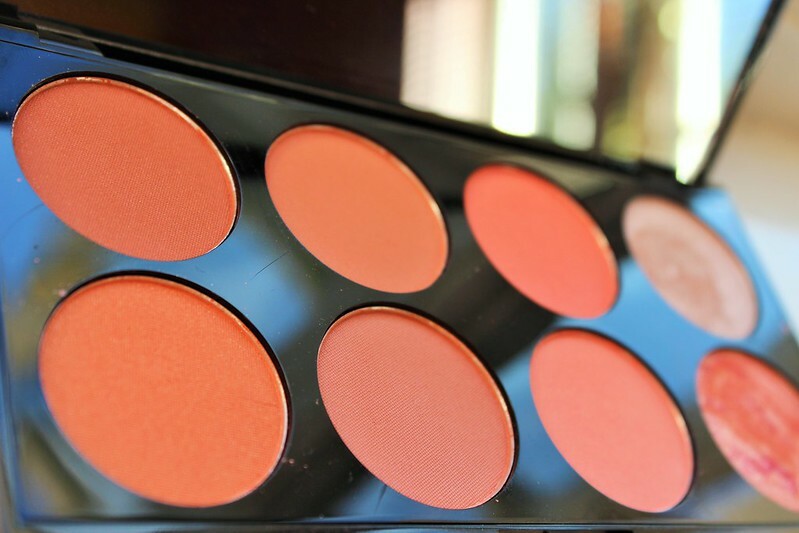 These shadows are highly pigmented, just like the palette colours and the shades are just gorgeous! At £1.50 each I was super impressed with the value for money. I just received this in the post and I almost want to sleep with it under my pillow I love it that much. Is that weird? It probably is but I so don't care! 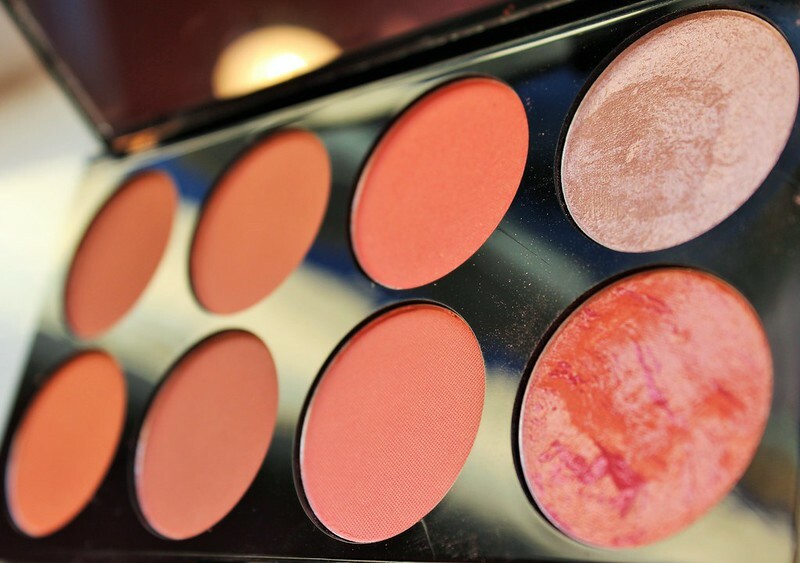 You get a fantastic range of colours in these palettes which includes a highlighter and also a baked blush. Some of the shades are a little more glittery, some are more matte, but all of them are amazing quality! And the highlighter... Wow. One of the best highlighters I've ever used?! The packaging is fab too; it feels relatively weighty in your hand which really makes you feel like you have a quality product. The palettes cost £6 each and you get 8 blushers... Don't ask me to do the math but I can safely say that's less than £1 per blush and in my book that's pretty damn good! These are just so striking. 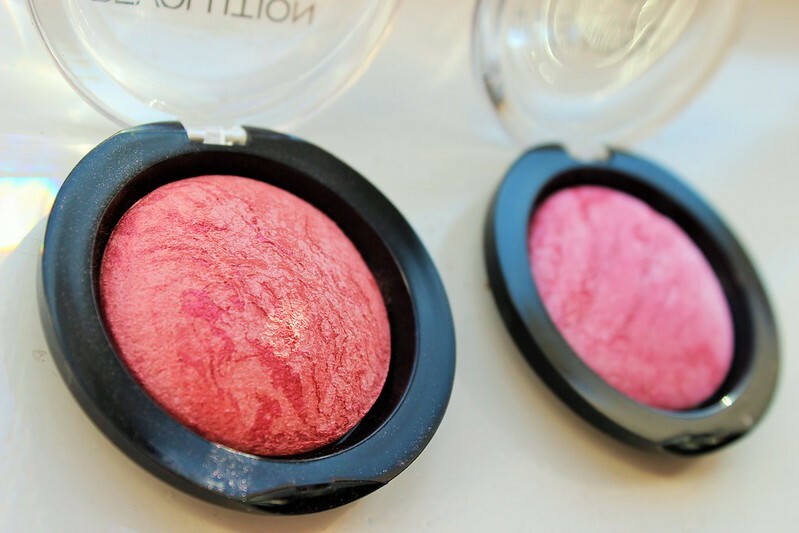 They remind me of the MAC highlighters but in blusher form. 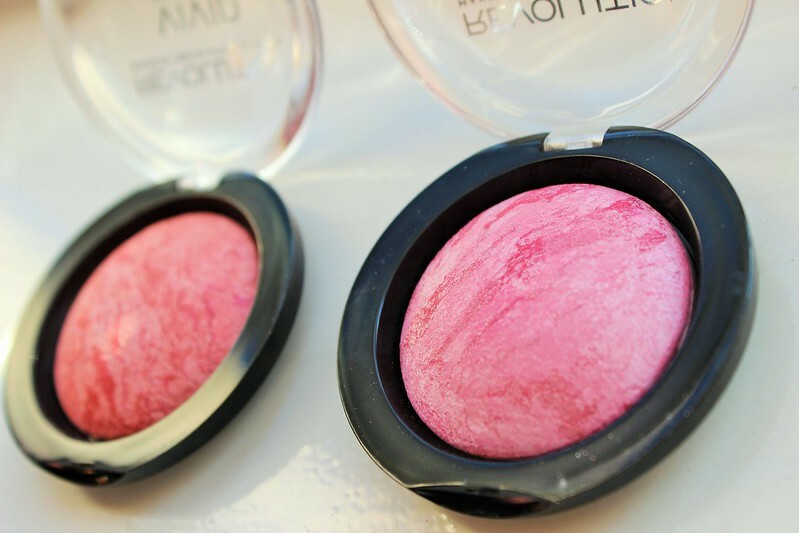 Awesome swirls of colour make up fantastic shades which are just perfect for your cheeks. I love love love these and at £2.50 each they are such a bargain! 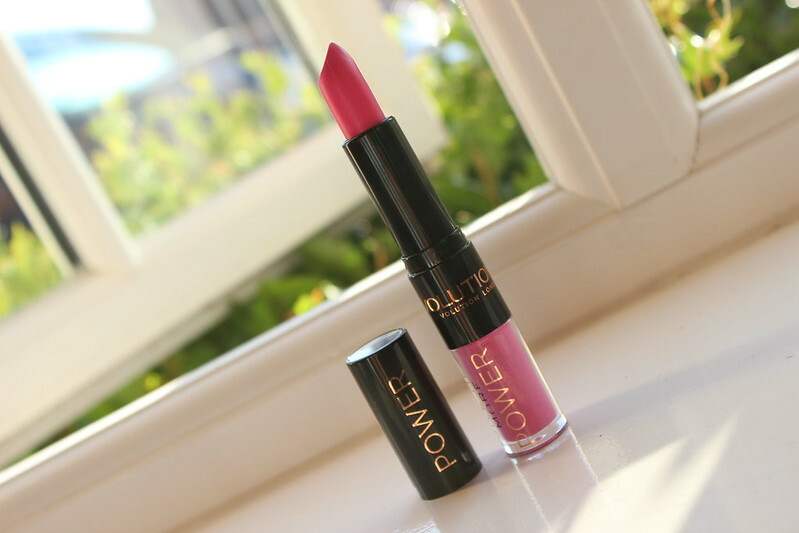 The Power lip range is a lipstick and gloss combo. The colours are fantastic but I must say, I was a little bit disappointed with the texture of the lipstick; it's quite waxy which I'm not a huge fan of. These are only £3 though so in terms of value for money, you're getting what you pay for. If you put the gloss over the top of the lipstick then you actually get quite a nice consistency and the lasting power is pretty good. These lipsticks aren't as good as their eye shadows and blushes but that certainly hasn't put me off the band. All in all, I'm really impressed with Makeup Revolution. Their products are so cheap and the overall quality is just amazing! I definitely recommend their blushers and eye shadows, especially the palettes if you're looking for a cheaper alternative to the Naked 1, 2 and 3. If you fancy picking yourself up some Makeup Revolution bits then head on over to the Superdrug website now! The whole range is on there and they do free delivery on orders over £10. Whoop!